A brand new concept of International Golf tours is now being offered to keen golfers who thrive on a Golfing challenge (and a great golfing holiday). Piranha Golf teams will challenge golfers from all parts of the World in a “Ryder Cup” format over three rounds. 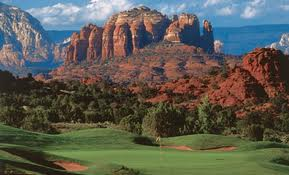 Come to Arizona with Piranha Golf Tours and take up that dream of always wanting to represent Australia. If you would prefer the Golfing experience without the challenge, golf will be confirmed on the same courses without the team challenge. Our first venture is to Arizona, USA where we will play golf against the local members at some of the leading Golf clubs in and around Phoenix / Scottsdale. This trip will take place departing on 20th February, 2015 and will be followed by similar Team Tours to other destinations within the USA as well as places like China, Malaysia, Dubai, South Africa, New Zealand etc. Join one of our team departures or create your own team from your local club or group of Golfers and we will plan a tour pitted against local golfers from around the world. In time, invite the same Golf clubs to travel to Australia and sample our courses and Aussie Hospitality. The state of Arizona, USA, offers over 200 Golf courses, unique in that most are built around the desert with some amazing scenery as well as being both challenging yet rewarding. Piranha Golf, Australia’s only Golf Manufacturer, has offices in Phoenix as well as other destinations nominated above. We have the right contacts to ensure you will play the best courses, meet the local golfers, stay in the best resorts, enjoy the hospitality of the locals and build international friendships that can last a lifetime, experience the destination and have a Bloody Good time as well as play some Golf. Get a couple of your Golfing friends and join the Piranha Golf Team in Arizona, February 2015. Meet at Sydney International Airport for your flight to the U.S.A. This evening join the Piranha Golf team for a Welcome Cocktails at the W- Scottsdale. Today is a Free Day for Relaxing at the hotel, Sightseeing or possibly a game of golf at one of our nominated courses or an alternate venues. Please Note the Official Golf Courses are yet to be confirmed. From the mind of world-renowned golf course architect Arthur Hills comes two courses that promises an enjoyable and unforgettable golf adventure. The Padre Course features towering trees, subtle landforms and impressive bunkering to sharpen your game. This 6,903-yard, par 72 design, is known for its strategic layout, challenging water holes, and had its 18th hole voted the best water hole in the state by Arizona Golf Magazine. The traditional American links-style Indian Bend Course has been created in a breathtaking setting with magnificent mountain backdrops, lush palm and eucalyptus-lined fairways, and scenic water holes. The 7,014-yard, par 72 course, is a dynamic layout that will be sure to test your skills while offering a friendly golf experience. Learn and explore the Native Peoples of the Southwest. Guests will enjoy a guided tour at both the Heard Museum and Desert Botanical Gardens. 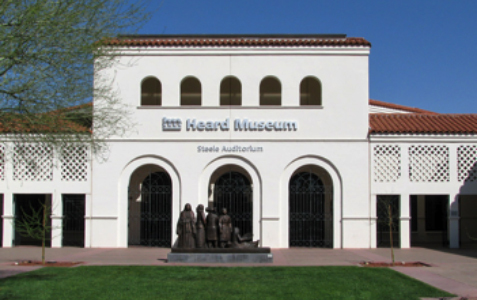 The Heard Museum is the pride of Phoenix and one of the oldest cultural centres in the city. It was built in 1929 to house the collection of Dwight and Maie Heard. The Heard came to Arizona in 1895 and avidly collected Southwest Indian Arts and Crafts, including twined and coiled basketry, hand formed pottery and rich, colourful rugs. Over the years, the Heard collection has grown immensely and today includes some 75,000 catalogued artefacts. As you explore the Gardens’ paths, you’ll discover an incredible variety of cacti, succulents, trees and shrubs from the deserts of North and South America, Africa, Australia and Asia. More than 10,000 plants representing 2,500 different species allow you to see how these fascinating plants have adapted to the harsh extremes of desert climates. Evening: Tonight is the Official Welcome Dinner to Arizona – Here we will meet the locals whom we will get to know well over the next week. Bill Coore and Ben Crenshaw, together as a design team, have created the magic of Talking Stick Golf Club. Located on and owned by the Salt River Pima-Maricopa Indian Community, the North and South courses are two uniquely different golf courses offer many options for golfers of all skill levels. From links style adventure through the grasslands and ingenious bunkering on the North Course to a traditional style of play on the tree-lined fairways of the South Course, both provide a serene yet challenging, memorable day of play. Mastro’s City Hall, in downtown Scottsdale, has all the elements of a high-end steakhouse, without a hint of pretentiousness. A night out at City Hall is all about good food and good friends. The restaurant is lined with dark wood, glass panels, scant lighting, and a beautiful bar with an outdoor lounge and fireplace. Choose from a delicious array of seafood appetizers, like chilled crab legs or a lobster cocktail. A New York strip, porterhouse, rib-eye, and several filets compose the well-rounded list of prime steaks and chops. Guests will enjoy an evening of exquisite food and live piano music! NORTH, Modern Italian Cuisine exemplifies a culinary tradition that blends sophisticated and contemporary cuisine with the comfort of traditional cooking techniques. The menu features dishes that are created from the freshest ingredients without the unnecessary adornments of cream or heavy sauces. Crispy thin crust pizza & wood roasted entrees along with pasta specialties and a variety of antipasti round out the menu. NORTH also offers a variety of specialty cocktails including Peach Blossom w/Campari, St. Germaine Elderflower, peach puree & Frizz antes, a flute of Prosecco sparkling wine with fresh fruit puree. Roaring Fork is an American Western Bistro. What is American Western Cuisine? It is a combination of using foods that are indigenous to the American West, locally grown ingredients, and capturing the ‘spirit’ of the west. The restaurant offers a comfortable, laid back environment that includes… friendly professional service and good food. A great deal of attention is paid to all the ingredients in creating the recipes and always using foods that are found in the American West, including locally grown produce. Western cuisine is not a ceremony; it’s a celebration! Ole’ Ole’ Ole’! On the outskirts of downtown Scottsdale is nestled one of the original restaurants of the city. Built from an historic 75-year old Scottsdale adobe home, Old Town Tortilla Factory captures timeless charm and distinct atmosphere that exemplifies the essence of the Southwest. The guests will feel at home surrounded by lush vegetation, old pecan trees, and the traditional flagstone flooring. The menu items are inspired by Native American and Sonoran cultures combined with authentic and fresh ingredients. Try the chorizo fundido or the red chili-crusted pork chops for dinner. To wash is all down try one of the 80 premium tequilas! 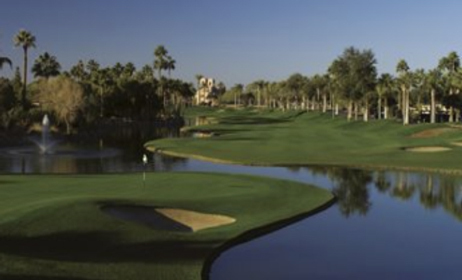 The Phoenician golf resort features a 27-hole USGA Championship facility that combines three nine-hole golf courses with unique landscapes including Canyon, Desert and Oasis. More of a traditional course, the Oasis has water that comes into play on seven of the nine holes. The lush tropical scenery and water features, are what make this a great course. Best known for its dramatic elevation changes and awe-inspiring views, the Desert is the most requested course due to its unique layout. Defined by lush, landscaped terrain, the Canyon is located on the southern slope of Camelback Mountain, offering sweeping views of the Valley of the Sun. A vista of unforgettable sights unfolds before you from the moment you enter Sedona. Often called “Red Rock Country” Sedona is one of the most spectacular sites in Arizona. Whether you’re into history and archaeology; arts and culture; power shopping; outdoor sports; or the spiritual and metaphysical, imagine doing all this in a backdrop of some of the most spectacular scenery in the world. The splendour of Sedona begins as you approach along the highway and revel in your first views of the towering red rock mountains that surround this quaint city. As you draw closer, these natural sculptures circle you, wrapping you in a crimson embrace. It is this first encounter with the red rocks of Sedona that has enchanted visitors for generations. Shopping in Sedona is more of a sightseeing adventure than a stop in a mall. Sedona’s shopping districts are nestled among the town’s world-famous red rocks, and Tlaquepaque Arts & Crafts Village is a replica of Guadalajara, a charming town in Mexico. Teeming with artists and artisans; boutiques, galleries, food emporiums, New Age metaphysical shops, specialty stores, and one-of-a-kind shops; Sedona has so much to discover. Montezuma’s Castle: Gaze through the windows of the past into one of the best preserved cliff dwellings in North America. This 20 room high-rise apartment, nestled into a towering limestone cliff, tells a 1,000 year-old story of ingenuity and survival in an unforgiving desert landscape. The group will stop here en route to Sedona; there is a level, paved trail 1/3 of a mile in length. Wayside exhibits along the self-guiding trail describe the cultural and natural history of the site. Stop is approximately 30 minutes. Set in the Sonoran Desert and surrounded by the majestic McDowell Mountains, TPC Scottsdale is a PGA TOUR Facility and the home of the PGA TOUR’s Phoenix Open. The Stadium Course, designed by the team of Tom Weiskopf and Jay Morrish, is a masterful blend of challenge and playability for the enjoyment of all levels of golfers, professional and amateur alike. Rivalling its famous sister course in both beauty and playability, the brilliantly crafted Randy Heckenkemper designed Champions Course offers the consummate desert golf experience. Featuring undulating Bermuda fairways, pristine greens and challenging bunkers, the par-71course meanders over natural ravines and picturesque foothills. N.B. At this point guests may choose to extend their visit to the U.S.A.
Return Resort / Golf Course / Resort transfers by Air Conditioned Motor Coach for Four (4) Days. Golf Prizes & more ………………….. Items of a personal nature such as Telephone calls, Laundry, Mini Bars etc. Meals, other than as above. Local Restaurants will be recommended and can be confirmed. Travel Extensions in the USA at the completion of the Golf package. Full Refund on Initial Deposit till 91 days prior to departure (14th November 2014), required in writing. Non Refundable Initial Deposit from 15th November 2014.